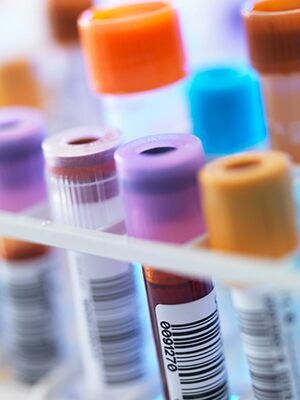 Therapeutic drug monitoring (TDM) is a multi-disciplinary clinical specialty, aimed at improving patient care by monitoring drug concentration levels in blood. It enables adjustment of drug dosage for individuals to improve patient outcomes. At present, TDM focuses on several areas, including monitoring drug concentrations for immunosuppressants, anti-depressants, antineoplastics, anti-epileptic, and anti-asthmatic drugs. TDM capabilities have also recently extended to areas such as lipid lowering medications. TDM has gained tremendous clinical interest worldwide and is a market now forecast to grow at a CAGR of 7.5% from 2017 to 2021. TDM is already well-established in Europe and North America; in 2015, for example, about half of the global market of US $1.77 billion came from North America. More recently, however, there has been growing interest in TDM from clinical pharmacology and clinical chemistry in Asian markets. Grand View Research, for example, forecasts that Asia’s market for TDM will see 8.5% CAGR through to 2024. The availability of accurate and specific quantitative tests on LC/MS and immunoassay platforms. The availability of organ transplantation has been made possible by the introduction of immunosuppressants – drugs that prevent acute transplant rejection and graft vs. host diseases, which are the cornerstone of therapeutic treatment of transplant recipients. Asia’s growing number of organ transplants has been supported by the rapid development of medical systems across the region. Changing attitudes toward transplants have also played a role and led to a rising number of volunteer organ donors, both familial and unrelated. Some Asian nations, despite rapid advances in medical technologies and services, still face cultural obstacles to organ transplantation. But that is changing. In China, the number of organ transplants is growing, in the first 4 months of 2017 1,545 people donated organs in China. Although starting from a small base that represents a 35% increase year on year. The current total number of transplants still seems like a drop in the ocean as over 300,000 patients in China are in need organ transplants every year. The Chinese government recognizes this problem and it is expected that more than 300 hospitals across China will finally be cleared for organ transplantation surgery by the end of 2017, which will hopefully increase the transplantation rate markedly. The second trend driving TDM in Asia is increasing awareness in the medical community that individual genotypes and phenotypes result in significant differences in how individuals metabolize drugs, leading to the need for personalized medicine. The wide range of variability can have a huge impact on patient outcomes. Following organ transplantation, it can mean the difference between graft rejection and death, or a healthy and happy life. For national insurance programs one rejection can result in $100,000s USD in added costs. The third trend is the rapid increase in the analytical power of instrumentation such as liquid chromatography-mass spectrometry that enables precise and highly accurate measurements, including independent quantitation of metabolites from parent drugs. This year is going to see another opportunity to learn about the latest Asian developments in TDM by LC-MS at the upcoming International Association of Therapeutic Drug Monitoring and Clinical Toxicology meeting, IATDMCT, being held in Kyoto, Japan from September 24-27, 2017. We invite you to register for and join our workshop, where we will demonstrate how Waters’ LC-MS-based integrated solutions can bring you to the next level in analytical accuracy, sensitivity, and selectivity. Waters will also host an invitation-only evening seminar and dinner event for Asian attendees featuring Dr. C.S. Ho, Adjunct Assistant Professor at the Chinese University of Hong Kong. Dr. Ho, a highly regarded clinical LC-MS pioneer in Asia, will speak on LC-MS versus Immunoassay for Immunosuppressant TDM.